The Xbox head clarifies the situation once and for all. There’s been a fair bit of confusion regarding whether or not the Xbox One Scorpio, Microsoft’s major spec bump for the Xbox One that is launching late next year, will get any exclusive games or not. Some people within Microsoft are ruling out the possibility, while others say that the choice will be left to developers. “For you and I, we usually think about generations in terms of what games will it play?” Spencer told Eurogamer. “This thing will play Ryse: Son of Rome, a launch game for your Xbox One. 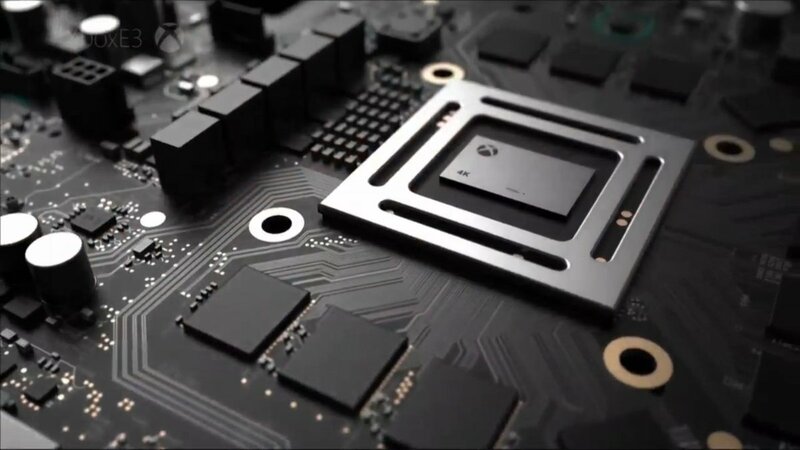 And we’ll have launch Scorpio games as well that are playable on an Xbox One, Xbox One S and Scorpio and look great on all three of them,” he concluded, adding very definitively and explicitly that the Xbox One Scorpio will not have any exclusives whatsoever. “There won’t be Scorpio exclusive console games. Absolutely not. “When you’re buying a console game from us, you know that console game will run on your original Xbox. No-one gets left behind. We said that on stage. Your Xbox One S and Scorpio. That’s an important design point for us. They’re all part of the same family. And we want to make sure just like when you’re buying your music today, you don’t worry about upgrading to a new phone that somehow won’t play your old songs or your new songs. We think about your Xbox One collection of games that will move with you between those different consoles,” Spencer explained. So if you own an Xbox One already, and don’t feel like buying another one- don’t. You’re not going to be left behind.